Although moving into the Russian market is challenging for foreign banks, those with a long commitment to the country benefit from an expertise few Russian banks have. Against the financial turmoil in the Euro-zone, Russia’s banking system looks enviably stable. In the third year after the 2008-2009 recession, the assets of Russian banks have reached 77 percent of gross domestic product, with annual growth of about 20 percent. The country’s hard currency reserves now amount to about 90 percent of all external liabilities. An indicator of the financial resilience is the fact that Russian banks have turned from net-borrowers in international money markets to net-creditors. Last year, the return on capital of Russian banks surpassed the pre-recession level. According to the Central bank of Russia (CBR), in state-owned banks the margin reached 20.6 percent and in foreign banks - 17.4 percent. Is Russia’s capital flight problem all that bad? As a result, at this point, the main worry of Russia’s top financial regulator is the continuing capital outflow. Sergei Ignatiev, CBR Chairman, said that Russian banks were to blame for the flight of $23 billion out of the total $80 billion that left Russia in 2011. It is forecast that in 2012, about $50 billion may be lost to domestic investment. This is not normal, Ignatiev reckons, because profit margins in Russia are higher than in developed countries. The Kremlin hoped that accession to the World Trade Organization would reinforce Russia’s financial system with fresh foreign investment. But so far only extractive, energy, automotive and other consumer-oriented industries are attractive for international strategic investors. Foreign banks account for 24 percent of the country’s banking assets and there are no signs that their share will increase even in the industry’s most lucrative and unsaturated sector – retail financial services. Thus the situation in retail banking may shed some light on the Russian economy’s major deficiency - the lack of foreign investment. Banking penetration in Russia still leaves much to be desired – about a quater of households have no bank account at all. This is largely due to fact that the banking infrastructure is developed mostly in metropolitan areas as well as low financial literacy. However, retail banking has been growing and offering Russian consumers new and sophisticated financial products and services – all the more so since in recent years more and more Russian households have been embracing the buy-now-pay-later lifestyle. Today it is not only the 10 percent of affluent Russians who can afford to buy new apartments, cars or travel abroad but also the breadwinners with modest-paying jobs who open saving accounts. The deposits of private customers are one of the core financial resources of Russia’s banking system. According to the CBR, in 2011 these deposits were equal to 21.7 percent of GDP, with the vast bulk of deposits placed with the five largest state-owned banks. The market value of state-controlled banks has now reached 60 percent of all banking assets and despite all the talk that they would be privatized, experts believe this is not yet in the cards. The largest state-owned credit institution, Sberbank, now ranks 17th among the world’s 20 highest value banks. Sberbank inherited the Soviet monopoly system of saving banks and today Sberbank is an unchallenged leader in Russian retail banking. Its 20,000 offices are scattered all over Russia and provide financial services even in distant locations. Russia’s next largest retail bank, VTB24, is an arm of Vneshtorgbank, the second-largest state bank. VTB24 maintains 600 offices in all Russia’s regions and lends mostly to private customers and small businesses. Among large banks, also active in provision of retail services are the municipal Bank of Moscow and Rosselkhozbank, which lends primarily to agro-businesses. The dominance of state-owned banks in retail finance became especially pronounced during the recession. Bailed out by the government at a cost to the budget of about $300 billion, the state-owned banks flexed their financial muscles while many private Russian banks went under. From a high of 2,500 private banks during the banking boom of 2005-2008, today there are just 950. Tough competition from state banks and the end of easy money combined with shrinking profit margins also caused a number of foreign banks to reconsider their involvement in retail banking. They faced three options – to exit the market, to merge with local banks or expand operations to meet new challenges. The first option was chosen by a string of European banks, which sold businesses or wrote down losses in 2010. Among those who left were Spain’s Santander, Belgium’s KBC Groep NV and the biggest Baltic lender Swedebank AB. In the spring of 2011, they were joined by two top-ranking British banks - HSBC and Barclays. As a spokesman for Barclays told the Financial Times, the decision to sell its retail arm was made because the bank needed a higher return on equity and this line of business in Russia could not meet its long-term objectives. Consolidation of assets by acquisitions or mergers with local lenders for committed foreign banks became a promising way to improve their positions in the market. This is how UniCreditBank Austria AG, a member of the financial group UniCredit, became number eight among Russia’s 10 largest banks by value of assets. In 2007, it acquired a 100 percent stake in International Moscow Bank, the country’s oldest private credit institution. UniCredit now has a network of 106 offices and provides financial services to 1,116 million customers. The ninth position belongs to Rosbank, a brand name acquired by the French Societe Generale S.A. after it bought 82 percent of the Russian bank’s shares. Rosbank has 700 offices in 70 regions and boasts of having 3 million customers. 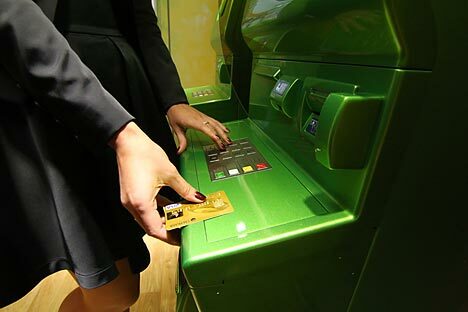 Another large foreign retailer, OTP Bank, which belongs to a Central and Eastern European banking group, strengthened its financial position by acquiring a controlling stake in Investsberbank. The lender has 163 end-to-end- service points and claims to be operating through a large network of partners providing 28,000 loans to individual and small business clients all over Russia. In retail banking, where customers’ loyalty and hard-earned prestige are major guarantees of sustainable business growth, two foreign banks stand out as the most successful in Russia. These are ZAO Raiffeisenbank, a subsidiary of Raiffeisen Bank International AG and ZAO Citibank, a subsidiary of Citigroup. Raiffeisenbank has been operating in Russia since 1996 and after acquiring retail lender Impexbank in 2007, now ranks fifth in terms of private customers’ deposits and the 10th in household lending. With 210 offices in major regions, the bank is set to expand retail operations “in line with a growth of profit volumes but not ahead of the market,” as the bank’s CEO Sergei Monin told Russian business daily Vedomosti. Still more impressive is the stance of Citibank, which is now celebrating 20 years of uninterrupted presence in Russia. The Citi’s local subsidiary fully complies with the group’s global strategy. As Vikram Pandit, Citigroup’s chief executive recently told the Financial Times, it is “set to glean the majority of its business from emerging markets.” Amit Sah, the head of consumer business at Citi Russia, commented that Russia has always been a top priority for his company. “Today, Citi is the only global bank that has grown organically in Russia. It is the country’s third largest international bank by assets, both in consumer and corporate business, valued at $13 billion. We have over one million private customers who are served from 50 retail branches in 12 cities and provide services to over 500,000 credit card holders. Citi also does business in Ukraine and Kazakhstan,” Sah said. No less important was the Citibank’s primacy in offering Internet banking to Russian clients and introducing cash-back credit cards and cash-in ATMs. The pioneering of state-of- the-art banking technologies and revolutionary products in Russia is based in the bank’s consumer business strategy, Sah says, which is founded on empowering the emerging middle class and serving them at their convenience. Citibank focuses on products and services in which it has proved to be truly professional - cards, wealth and cash management. The current tension in global finance, especially in Europe, suggests that there is no chance for an increase in external funding of Russia’s investment programs. Thus, the order of the day for the Russian banking industry is generation of internal financial resources. By applying their technological leverage and expertise in attracting and investing of customers’ money, foreign lenders may become no less noticeable contributors than state banks to the development of Russia’s economy. If, hopefully, its performance this year is not checked by a steep decline in oil prices, sustainable growth in Russia may reverse the outflow of money to an inflow. Foreign banks that are committed to Russian business are a ready venue for such a reversal, despite tough competition from state-owned banks. Their major competitive advantages are advanced banking know-how and skilful marketing techniques. There is little doubt that as long as financial infrastructure improves and banking penetration increases, foreign banks will have a competitive advantage, thanks to better banking expertise than that of their Russian rivals. Felix Goryunov is a Moscow-based economic journalist who has been covering world economy and international trade for over 30 years.